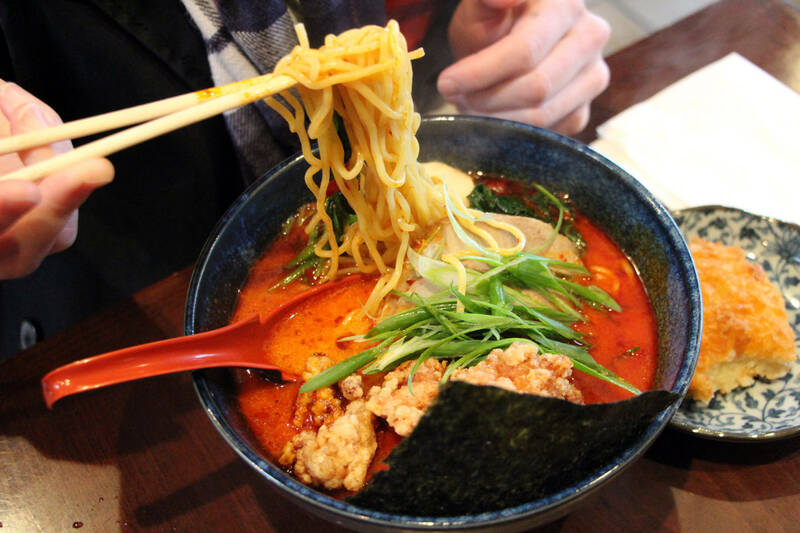 There are lots of ramen places in the city -- lots and lots. And when it comes to neighborhoods filled with authentic and delicious bowls of noodles, the Sunset is certainly near the top of anyone's list. Wandering down the street looking for a delicious bowl is always an option for the adventurous diner. Or, you could try the two spots that dominate the neighborhood market, and conveniently are just blocks apart. Sawaii Ramen is more of a small, non-flashy shop. If it's crowded, and it can be, you write your name on a clipboard and wait outside to be called. But this is not the kind of place that will call you multiple times or track you down, so stay near. When we went, though, it was early and the small storefront was relatively empty. Service is simple and straight-forward. Specials are written on a board, and there is plenty to try besides ramen: sushi, appetizers, and a full menu of drinks. 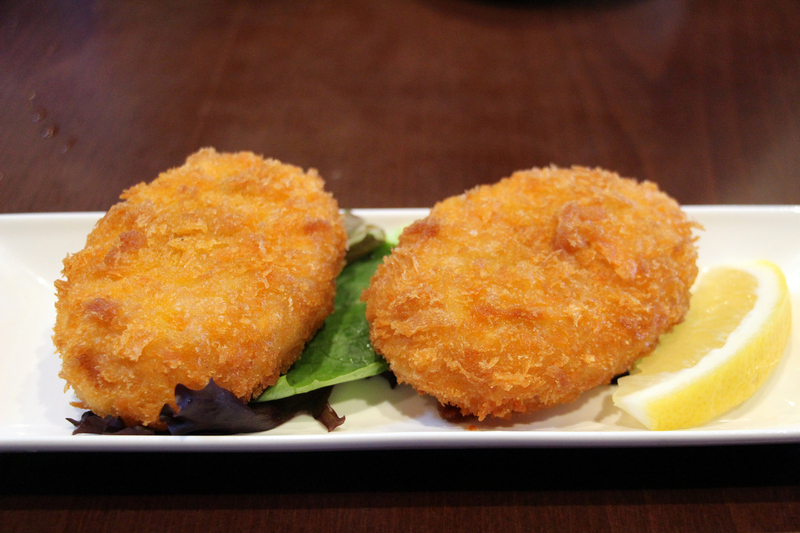 We had the croquettes ($4.50), fried balls of pork and potato that are soft and light. There are also grilled squid and chicken, fried oysters and crab, and even deep-fried tofu. If I'd known how filling the ramen bowls would be, though, I might have passed on the appetizers. 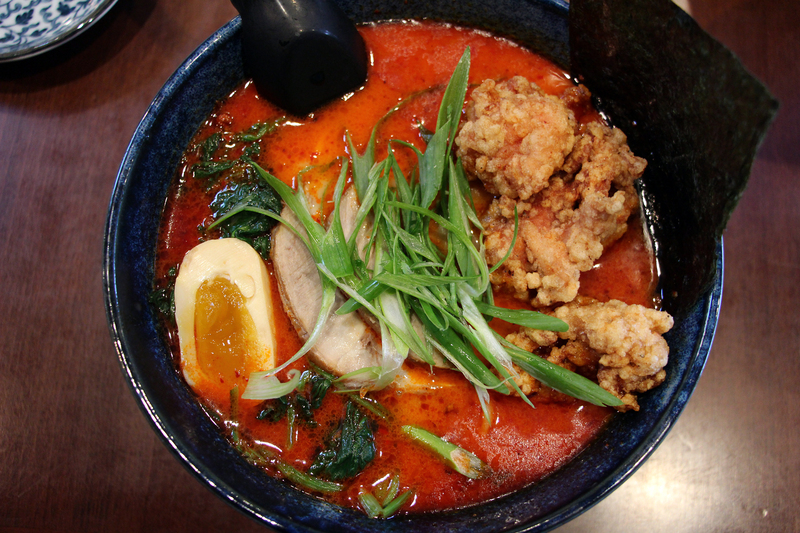 While Sawaii has a number of ramen options, it is most noted for it's specialty bowls, like the spicy mala ($10.95), which comes with pork, spinach, egg, nori, and kara age, a kind of breaded chicken. The kara age is unique and tasty, though a bit heavy, and the bowl itself has a spicy and complex flavor. It's not too spicy, but enough to give you a bit of a bite. The broth, itself, isn't particularly heavy either. My only complaint was that the pork can be chewy, and I, personally, prefer the pork in my ramen softer and falling off the spoon. Sawaii does make all the classic ramen options -- tonkotsu, shoyu, shio, and miso (all $8.95) -- but I'd recommend a variation on the standard: the spicy garlic tonkotsu ($10.95). It comes with pork chasu, wakame, negi, menma, and you can add things like corn, spinach, mushrooms or egg. One word of warning, though: the spicy garlic comes in three options (mild, regular, or extra spicy); we tried the regular and found it cleared the nasal passages very effectively. The spicy garlic bowl has a heavier broth than the mala bowl and less complexity, but certainly no less intensity. The noodles in both are of the same thin variety. Most of the ingredients at the small shop come locally, though the noodles are from a Japanese distributor in San Jose. While the shop owners say that which distributor is a guarded secret, there are only a handful of possibilities that can be found by the avid Googler. The whole meal was quick, tasty, and no frills. 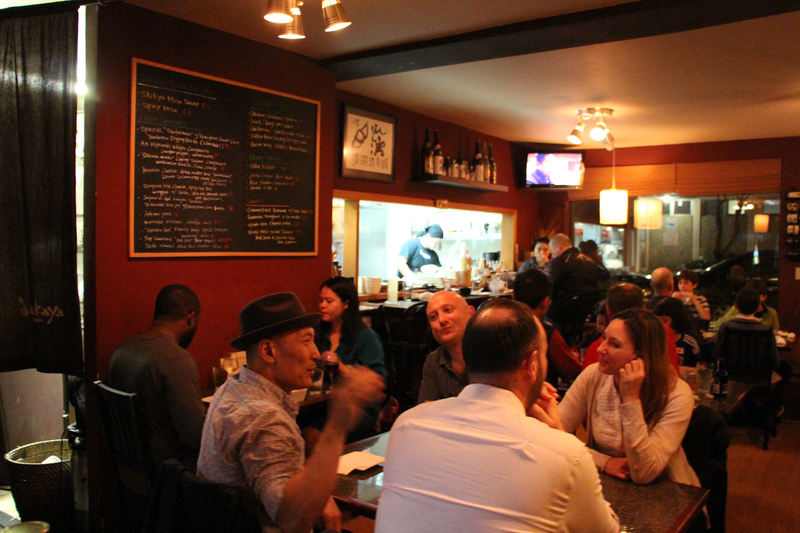 But if you're looking for a bit more of an upscale and established option, then head down the street to Izakaya Sozai. Opinions are mixed, though, on which of the two is better. Izakaya Sozai also gets very crowded, even when we were there early in the night on a Wednesday. 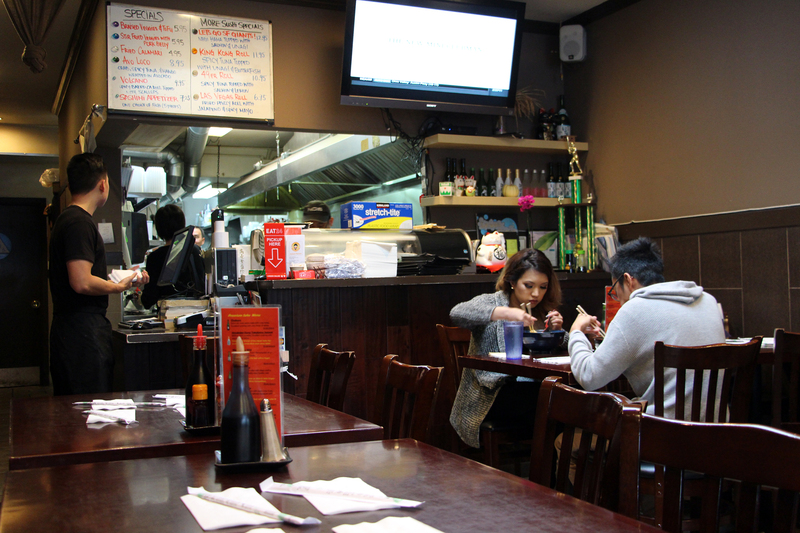 It's less of a hidden hole-in-the-wall, and more of a spot to take a date or the whole family. It's also really a Japanese bistro specializing in modern small plates, with limited ramen option. But, make no mistake, those small plates (and ramen options) are exceptional and well worth the wait. 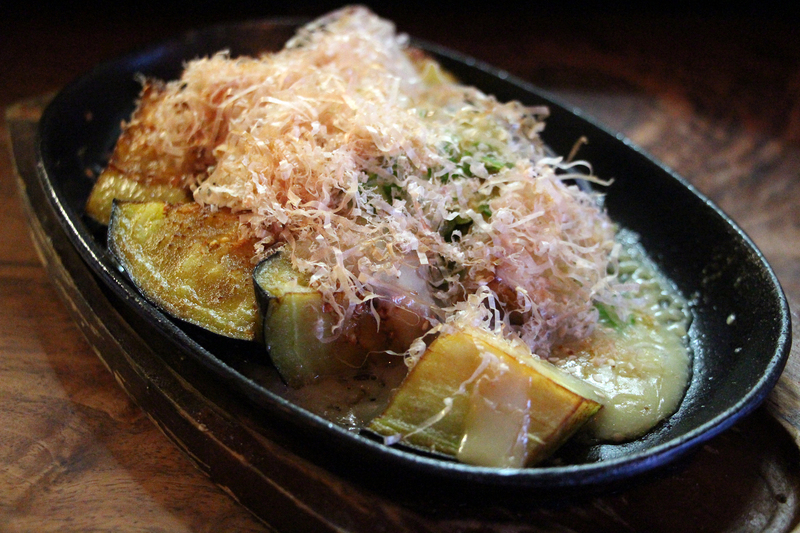 We tried the much raved about eggplant, nasu dengaku ($7), and weren't disappointed. The eggplant is served practically melting -- in fact, don't stick the burning hot pieces all the way in your mouth -- covered in sweet miso, butter, and bonita flakes. The whole effect is overwhelmingly sweet, almost more like a dessert than an appetizer. You should definitely plan to split the plate, though that's probably true for the wide variety of small plates offered, all unique and modern takes on traditional Japanese cuisine. 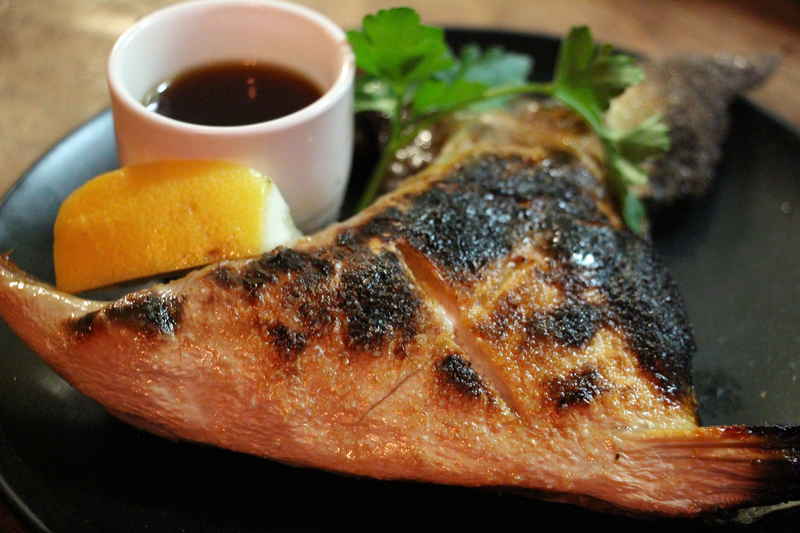 The hamachi kama (grilled yellowtail collar), which is offered at market price, was equally melt-in-your-mouth. And with the lemon squeezed across the top, the taste is a fresh tangy fish than you feel better for having eaten. If you can't decide where to start, then the yakitori (traditional Japanese skewers) section of the menu is probably a good place. It's the deepest part of the menu, aside from the hand-written specials, and the bacon-wrapped mochi skewers are famous or infamous, depending on your point of view. Once you've split a few small plates, you might be too full for a main course. 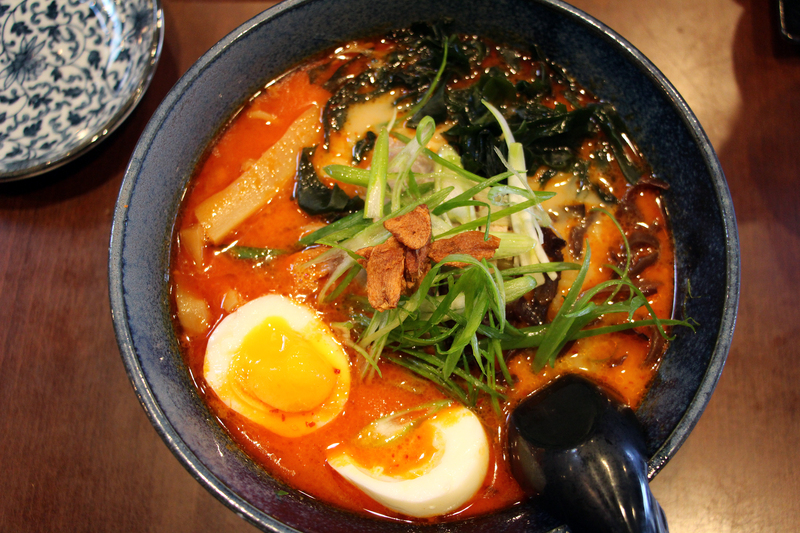 However, the ramen, though the shortest section of the menu, isn't to be missed. There is only one choice: the tonkotsu bowl ($10), which comes with pork chasu, seaweed, green onion, and egg. You can also add garlic chips, spicy miso, fried egg, braised pork belly, or fried braised pork belly. It's amazing, though, that both bowls at Sawaii and Izakaya are traditional tonkotsu bowls, yet are so different in their approaches. 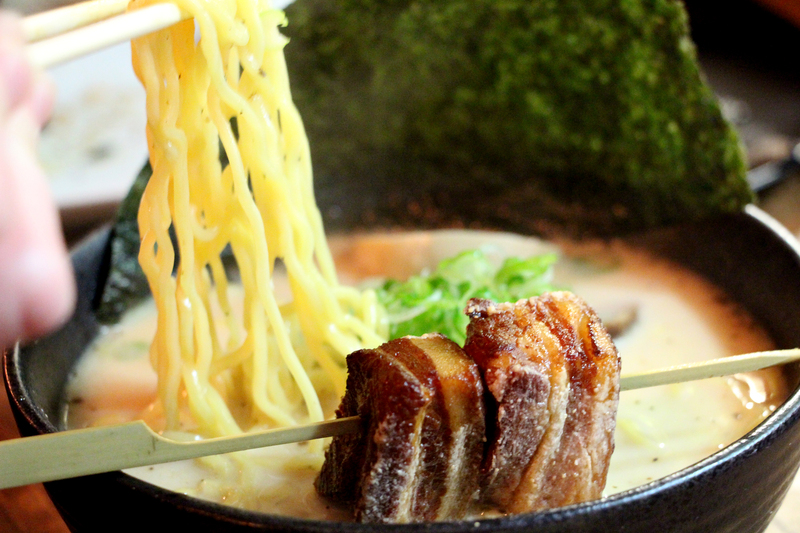 The Izakaya bowl is much more of a comfort food, with a deep creamy, milky pork broth. Those who prefer the spicier flavors at Sawaii might not appreciate Izakaya's simpler texture. However, the toppings at Izakaya are the real icing on the cake, so to speak. The pork chasu is top-quality and tasty, and the fried braised pork belly offers an interesting crispy outside to the fatty soft inside. Because the kitchen is even smaller than the seating area, Izakaya's noodles are made off-site by a ramen noodle distributor (again, a secret), but per a recipe designed by Izakaya chef Ritsu Osuka. 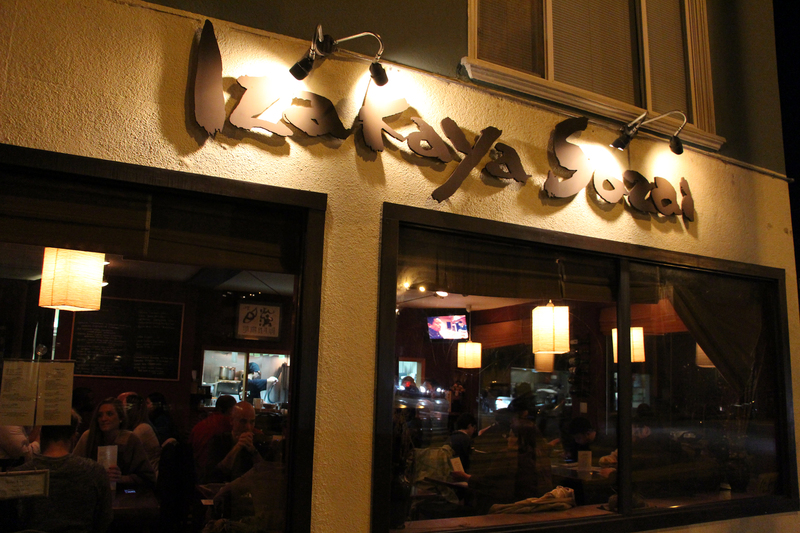 A note, however: Izakaya Sozai's most recent health code rating, from a year ago, was a low 70/100. Sawaii's from the same time period was 86/100. Anything that is scored a 70 or lower is considered "poor" by the Department of Public Health; these scores are posted visibly in the restaurant and are certainly worth considering. While the variety of Japanese food in the Sunset is almost endless, you can't go wrong with either of these two staples of the district. And then you can argue over which is really better.